Eligible individuals and organizations can receive special funding from HeartMath Institute’s Caring Initiatives sponsorship projects. These include HeartMath Education Projects, HeartMath for Communities Project and the Military Service Appreciation Initiative. We’ve selected some of their inspiring stories to share and hope these will touch your hearts as they have touched ours. A Unity minister and youth education consultant who trained a group of adult youth advisors working with impoverished youth in South Africa described the HeartMath training she provided as a big success. "We celebrate that the HeartMath Institute is making a difference with the youth in the world through the power of the heart!" the Rev. Dr. Jane Simmons reported to HMI during her project in Cape Town, South Africa’s legislative capital, and the nearby small farming community of Riviersonderend. In a progress report to HMI, Simmons described what HeartMath’s emotion self-regulation tools and the emWave® technology would mean to the youth with whom she worked and what the experience meant to her. "Their lives will be helped in several ways through the practice of HeartMath," said Simmons, a HeartMath Qualified Instructor and De-Stress Workshop provider who received a HeartMath for Communities Project scholarship to conduct the training. "I gained an inside view of the heartbreaking conditions of poverty that many of them live in. I was also a witness to the health and family issues that these young people are dealing with from day to day. They will practice heart coherence to deal with the stress of all of these conditions." Simmons’ plan when she began the project in November 2011 was to provide "heart-centered self-awareness leadership training" to 75 people, including disadvantaged teens and their adult supervisors. "These are youth of color who are either living in orphanages," she said, "having lost their parents to HIV/AIDS or are living in abject poverty in the ‘settlements’ of Cape Town. … These amazing young people are an incredibly talented and inspiring mix of poets, dancers, singers, drummers, writers, artists, storytellers and actors. "Through the use of a variety of media – heart-opening self-awareness exercises, creative expression, community-building activities, story and song – the participants in the program explored a path of self-discovery that led to unearthing and sharing their gifts. With the training, they will now carry on this transformative work as they continue to work in a leadership role with more and more youth." Among the HeartMath tools Simmons taught were the Quick Coherence® and Heart Lock-In® techniques, which, she reported, they began using in their everyday lives. She demonstrated on her personal laptop how to use the emWave® Pro for Mac and PC desktops, and then participants practiced coherence-building using the technology. Additionally, students began using the HeartSmarts® learning program at school in February 2012. One of the most important and effective skills HeartMath teaches is building heart coherence, a beneficial state in which the processes of the heart, mind and body are balanced and function smoothly. An important part of achieving coherence using HeartMath tools is the ability to sincerely focus on and appreciate someone or something such as a loved one, friend, a cherished pet or even a special or favorite place. Simmons recalled two youths who proved to be adept at this skill. "Two young girls in particular showed an ability to achieve high coherence quickly," she said. "When each of them finished, I asked them what they had chosen to focus on as someone or something they appreciated. One girl said it was her mother (who had died the previous year because of the AIDS virus). The second girl said she felt the love of God. Both experiences touched me deeply." "I so appreciate HeartMath’s generosity in sharing the resources to further the work in South Africa," she said. "Every gift was deeply appreciated by the adults who are doing such difficult and life-changing work with the youth. … The gifts HeartMath shared were very empowering for the advisors and felt like a lifeline had been thrown to them." The mission of the HeartMath Institute is to help people bring their physical, mental and emotional systems into balanced alignment with their heart’s intuitive guidance. This unfolds the path for becoming heart-empowered individuals who choose the way of love, which they demonstrate through compassionate care for the well-being of themselves, others and Planet Earth. 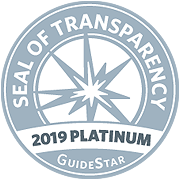 View GuideStar report.